So, my boys and I have a little ritual we carry out every time they accompany me to work on a Saturday. As I try to get things prepared for the upcoming week, they push together two desks, then quietly sit as they enjoy a prepared box lunch which includes a PBJ, a cheese stick, fruit snacks and a juice box, as they watch EvanTude HD on the flatscreen. Afterwards, we take the “alligator” down to the basement and explore. 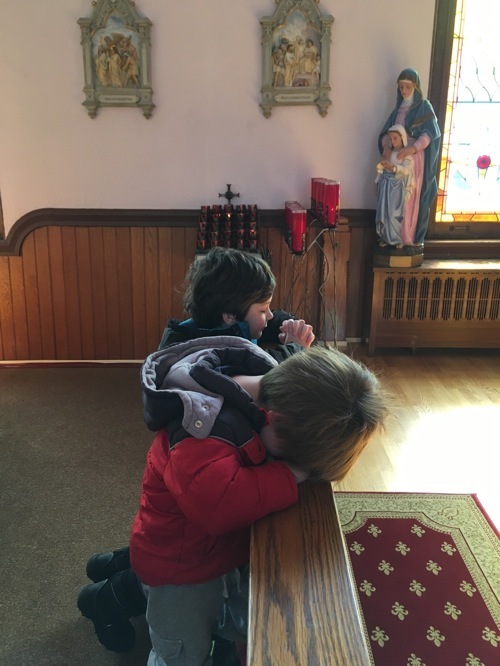 Finally, we hop in the car and drive to a beautiful, century-old, little white Church, light a candle and spend sometime with Our Lord in prayer before hopping back in the car to head home. 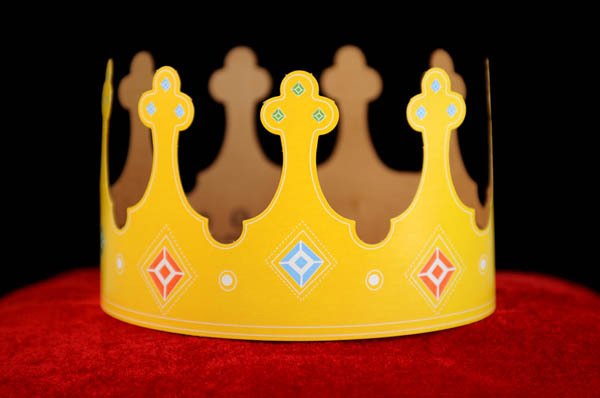 It was a Burger King crown.